Au pairs are a great option for most families with small children. Before choosing the right candidate, you will want to learn more about the cultural differences and lifestyle of your au pair’s home country first. Family values: Each Ukrainian family is rich with customs and traditions, which are passed down from generation to generation,creating cohesion and warm relations between parents and their children. Au pair participants from Ukraine would love to share these same values with their American family. Food and culinary skills: In Ukraine, people like to cook and eat delicious meals. You will be delighted with the national Ukrainian cuisine. In addition, home food is healthy because it is cooked with natural products and ingredients. Your au pair may teach you how to cook borsch or cook vareniki with your children; it is fun and enjoyable! age, so your au pair will be physically active. Many young men and woman have experience doing gymnastics, dancing, and playing tennis. Experience working with children: On an average, Ukrainian families have two or three children. Older ones take responsibility for caring and educating younger siblings, so your au pair already has priceless experience from babysitting in their own family. Needlework: In Ukrainian schools, there are particular classes, where kids learn to draw, sew, sculpt, and knit. Au pairs will teach your kids to make interesting handmade arts and crafts, and share their unique hobbies with them. Music: In Ukraine, most of the children attend music schools and usually can play at least one instrument. Your au pair may share these skills with your children too. Swimming: Almost every Ukrainian au pair can swim well: some visit the pool, others improve their skills while traveling to the sea or river. These skills may be useful during a vacation with children. Driving: Ukrainian au pairs are cautious and responsible drivers. To get a driving license in Ukraine, you need to pass a written test and a driving test. Ukrainian girls are extremely cautious. They have driving experience on imperfect roads and in traffic congestion in large cities. That’s why parents who are really worried about the safety of their child, should consider choosing a Ukrainian au pair. Diligence: In Ukrainian families, from early childhood, kids are taught to be independent and help their mothers with chores around the house. A Ukrainian au pair will help you maintain the cleanliness and comfort of your home. Initiative: Ukrainian parents always encourage their children to keep busy. They practice active leisure, trips, and excursions, which allow their children to develop and reach new horizons. In addition, au pairs take initiative and always care about a variety of pastimes. Ukrainian au pairs easily get along with children of any age. They treat them as their own kids-with care, attention, and love, so your children will always enjoy themselves around their au pair. Now you understand why Ukrainian au pairs are appreciated not only in the USA, but all over the world. They will provide you and your kids with diligence and will have a responsible attitude towards their duties. You will definitely not regret hosting a Ukrainian candidate as your au pair! Next Stop on our Cultural Journey Series: Jamaica! Junkanoo – The streets come alive every Boxing Day (December 26th) when Jamaicans parade and dance in costume to celebrate the holidays. It is believed that Junkanoo started in the 16th and 17th centuries, possibly with West African origins. 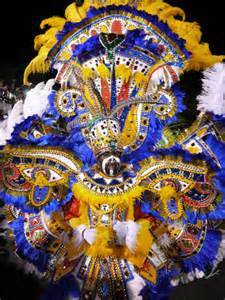 It has evolved into intricate costumes and dances choreographed to goatskin drum beats and cowbells. 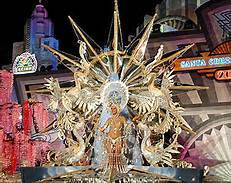 Junkanoo parades have had cameo appearances in the Jaws the Revenge movie and the James Bond film, Thunderball. 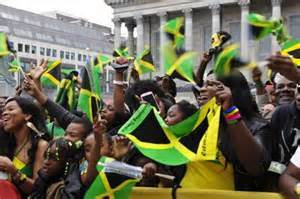 Independence Day – At midnight on August 5, 1962, the Jamaican flag was proudly raised, showing their independence from the British. The flag symbolizes Jamaica’s hope, agriculture and abundance with green, creativity and courage with black, and natural resources and sunshine equally divide it all by yellow, diagonal, intersecting lines. You can be sure that every year, Jamaicans celebrate this historical event by wearing the colors of Jamaica, sharing traditional foods and making the music that brings it all together. Cricket – Cherry? Peach? Fruit Salad? To some, this sounds like part of a grocery list. To cricketers, these are terms for the cricket ball and various ways to bowl the ball to the batsman. Beginning in 1895, cricket has easily become one of the most popular sports in Jamaica. American baseball and English cricket share similarities such as the use of a bat, ball, an outfield, innings, pitchers or bowlers, umpires and many other aspects. Some of the best, most popular, earlier Jamaican cricketers are George “Atlas” Headley, Lawrence Rowe and Michael Holding. Two of the more recent stars of cricketing are Courtney “Cuddy” Walsh, who is one of the best in the world, and Chris Gayle, who currently holds the record for the highest innings in a Twenty20 International. 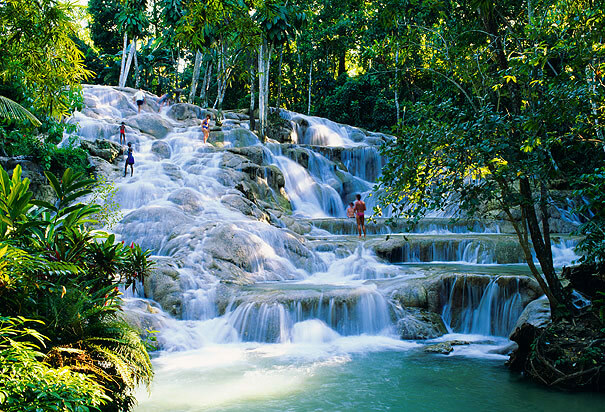 Dunn’s River Falls – Fed by spring water, Dunn’s River Falls is so beautiful, it was worth fighting for! The English defeated the Spanish Expeditionary Force from Cuba at the Battle of Las Chorreras in 1657, near the falls. Only a few travertine waterfalls in the world fall right into the sea as Dunn’s River Falls does. Tourists flock to see this rare phenomenon near Ocho Rios. Natural and manmade steps allow visitors to interact with the falls before the water is returned to the Caribbean Sea. 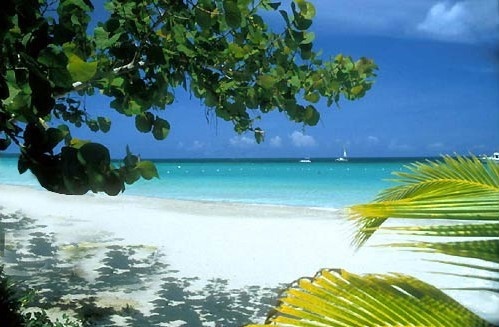 Negril – Rated one of the top 10 beaches in the world! Negril is unique in that it offers miles of beaches, a lighthouse, cliff diving, watersports, family fun, nightlife, resorts and relaxing, all while keeping its simple charm. Beginning its development in the late 1950’s the small town kept its beautiful secret until the first resorts and hotels were built in the late 1960’s. Tourism really took flight when a small airport was built in 1976 near Rutland Point. There is something unforgettable for everyone in Negril. 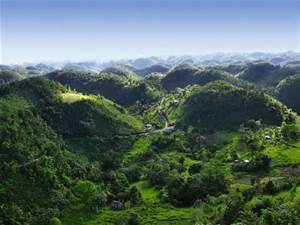 Blue Mountains – Jamaica’s longest mountain range are the Blue Mountains. With walking paths leading to the highest peak of 7,402 feet, the north and south coasts can be seen. On very clear days, even the outline of Cuba is visible. The mountains house more than 500 species of flowering plants and more than 200 species of birds. The climate and rainfall on the mountains provide rich soil for Jamaican coffee beans. Mostly exported to Japan, Blue Mountain Coffee is one of the most expensive and coveted coffees in the world. 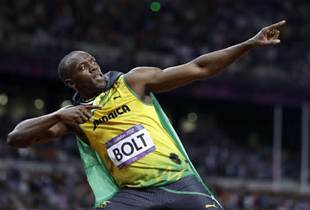 Usain Bolt – Currently holding the 100 meter world record, Usain Bolt continues to dominate as a sprinter. Born in Sherwood Content, Trelawney, Jamaica, in 1986, “Lightning Bolt” grew up playing cricket and football. By age twelve, his sprinting ability started to develop as he became the fastest in school for the 100 meter. Even surprising himself, Bolt broke the world record on May 31, 2008 at the Reebok Grand Prix in New York City, with a 100 meter time of 9.72 seconds. Besides earning many gold medals in the World Championships, Bolt took home three gold medals from the 2008 Beijing Olympic Games and three more at the 2012 Olympic Games in London. What will his next feat be in the 2016 Games? Bob Marley – “Live for yourself and you will live in vain. Live for others, and you will live again”, Bob Marley-Passionate about music, freedom and soccer, he is the most beloved artist of the reggae genre. Born in St. Ann Parrish, Jamaica, Marley continues to be an inspiration to others worldwide. His expressive music was deeply personal, spiritual and political. Becoming widely popular after collaborating with The Wailers, his albums went platinum ten times over in the United States in 1984, though posthumously. His son Ziggy and daughter Karen were there to accept when Marley won the Grammy’s Lifetime Achievement Award in 2001. Thirty-three years after his death, Marley’s legacy is still celebrated around the world for his work to promote peace and the Rastafarian culture. “In this great future, you can’t forget your past,” Bob Marley, No Woman No Cry. Reflecting its cultural and demographic diversity, some of the influences on Jamaican cuisine include Spanish, British, East Indian, West African, Portuguese, Chinese, French and Dutch. 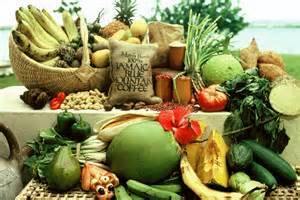 Using many of their natural resources, some main food staples consist of rice, breadfruit, legumes and plantain. Main entrees for special occasions can include seafood, beef and curried goat. This broad assortment proves to please all palates! Click on any photo below to try a taste of the Jamaican island in your home! Are you in need of affordable live-in childcare? Au Pair International is fortunate to work with some amazing Jamaican partners that help our host families to introduce the Jamaican culture to their children! Together we are currently featuring the following Jamaican au pairs who are seeking host families in the U.S.. Upon clicking on their photos you will be taken to their personal profile on our website. If you have any questions or would like more information on becoming a host family please do not hesitate to contact us! Continuing on our Cultural Journey Series to Spain! Fútbol – Goal! Goal! Goal! Goal! Goal! Goal! 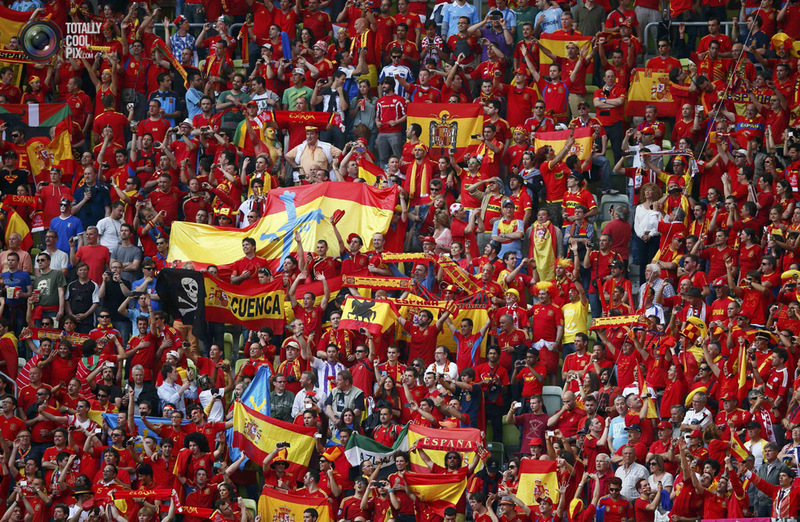 Spain is well-known for its most popular sport, fútbol! Teams like Fútbol Club Barcelona and rival, Real Madrid, draw crowds of more than 70 thousand fans in a season. Competing at a world-class level, clubs have won the FIFA World Cup (Fédération Internationale de Football Association) and have earned both silver and gold Olympic medals. Two of the more popular footballers in Spain are Lionel Messi, playing for F.C. Barcelona, and Cristiano Ronaldo who plays for Real Madrid. Becoming a professional sport in 1926, Spanish fútbol clubs have continued to cultivate their fan base and acquire elite players, making it the most important spectator sport in Spain. Carnival – Besides religious and New Year’s celebrations, Spain hosts many festivals throughout the year. During the last week of February, Spain hosts Carnival. With slight variations in different cities, these celebrations are about having fun parading brightly colored costumes, dancing and music to entertain thousands of festival-goers. 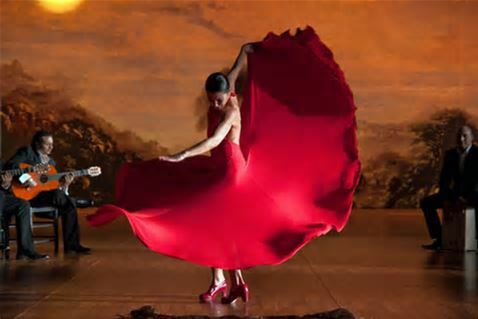 Flamenco – Combining music, dancing and guitar playing into Flamenco is another beautiful Spanish tradition. It is said that this tradition was created by migrants bringing instruments and songs of their culture. Characterized by different levels of intense emotion and changing themes such as death and despair in one section, love and humor in another. The Flamenco conveys a story to its viewers. Beautifully-colored costumes and harmonious music entrances audiences and evokes the intended emotions. 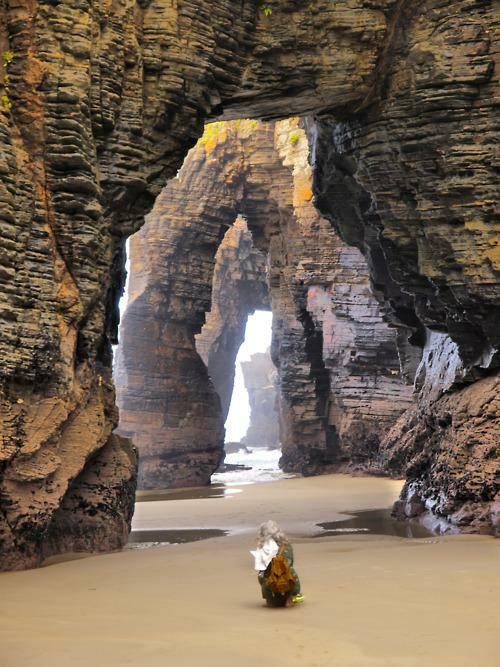 Playa de las Catedrales – Located in Ribadeo, it is one of Spain’s top beaches. Famous for its rock formations, the “Beach of the Cathedrals” only reveals its beautiful arches at low tide. Visitors are reminded of the ocean’s strength and revel in nature’s creations. Alcázar de Segovia – Originally built in the 12th century, Alcázar de Segovia was home to Castilian monarchs who each added on to the castle, causing continuous construction through the 16th century. 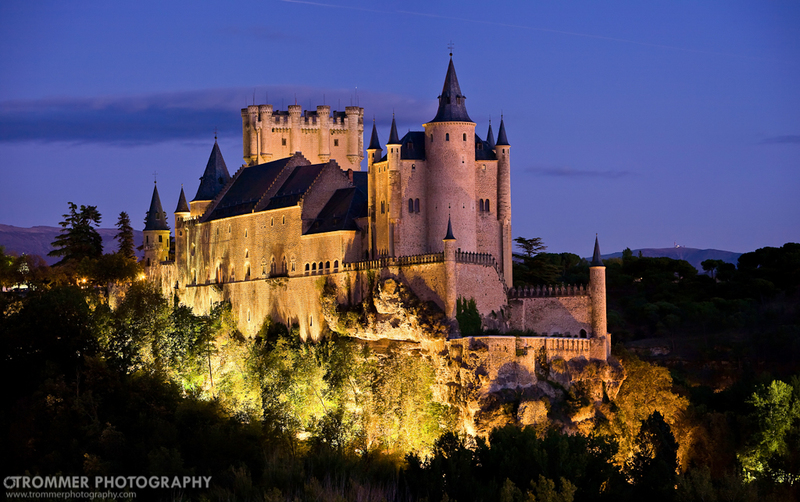 Looking like a ship breaking through the rocky hilltop, Alcázar de Segovia is a top tourist destination in Spain. Pablo Picasso – Known as one of the most influential artists of the 20th century, Pablo Picasso was born in Málaga, Spain, in 1881. Helping pioneer the artistic style of cubism, his work steered the direction of today’s art. His depictions of reality transferred through his work. Like many artists, Picasso’s humble beginnings turn to posthumous fortune as some of his paintings are listed in the top ten most expensive, selling for more than a million dollars. Miguel de Cervantes – Born in the Spanish capital of Madrid, Cervantes was a novelist, playwright and poet. He is most known for his humorous story about a man of La Mancha, Don Quixote. Translated into more than 60 languages, Cervantes wanted to portray real life by using common speech in the strong narrative. Though authoring many other works, Don Quixote earned his literary status among peers. Basílica i Temple Expiatore de la Sagrada Família – Spainish architect Antoni Gaudí took over construction of Basílica i Temple Expiatore de la Sagrada Família in 1883 and finished about 15-25 percent of the church before his death in 1926. 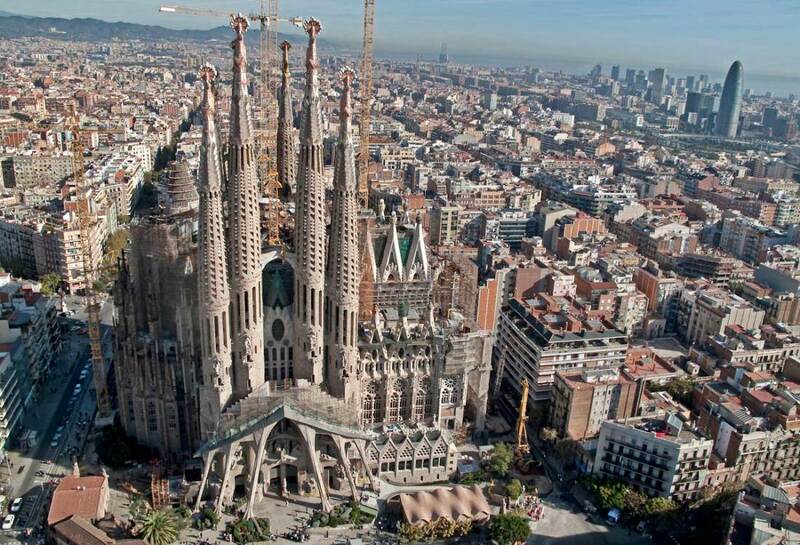 Architects struggle to adhere to Gaudí’s design, and work complete the church by the scheduled date of 2026, a century after his death. This incredible display of Gothic architecture has become one of the most visited tourist destinations in the world. Being a gateway between Europe and Africa, Spain has been fought over throughout history. As a result, different inhabitants have influenced Spanish cuisine. Spain is known for its olives and wine, tying it to Greek and Roman culture. Its Celtic heritage introduced meat and fish pies, and the Moorish culture brings the use of honey, citrus fruits, almonds and various spices such as saffron. Of course each region has its own variation of traditional dishes and pepper in some modern twists as well. One can be certain that a Spanish meal will be rich in taste and history! 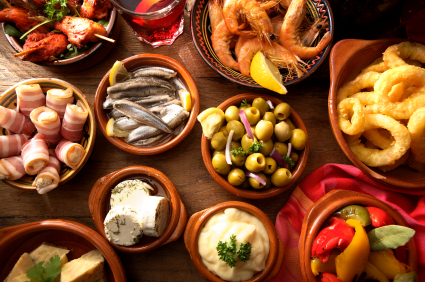 For a mix of traditional and modern dishes, click on any photo below to bring a taste of España to your home! Are you in need of affordable live-in childcare? Au Pair International is fortunate to work with some amazing Spanish partners that help our host families to introduce the Spanish culture to their children! Together we are currently featuring the following Spanish au pairs who are seeking host families in the U.S.. Upon clicking on their photos you will be taken to their personal profile on our website. If you have any questions or would like more information on becoming a host family please do not hesitate to contact us! Au Pair International is kicking off our Cultural Journey series where you will be exposed to the traditions, attractions, etiquette and cuisine of individual countries that participate in the United States Au Pair Program. Learn about the backbone that has come to define the culture of each country and be introduced to their au pair program participants that we currently have available for placement! The first featured country in our Cultural Journey Series is France! Home to over 65 million people, good fashion and good food is considered to be the epitome of what defines France as a country. This beautiful place has been called home by a countless number of poets, artists, actors, composers, and world-renowned chefs. From the talented Alexandre Dumas, Brigitte Bardot and Georges Bizet to fashion legends like Christian Dior, Louis Vuitton, and Coco Chanel. The French culture has made a lasting impression around the world and will continue to be a prominent influence for decades to come. Anyone that has ever had the pleasure of visiting France, or aspired to do so, is familiar with the rich culture and iconic attractions that bring in millions of tourists each year. Those destinations listed below are just a small glimpse of the inspirational and awe-inspiring sites to behold that grace the countryside of France. Palace of Versailles – This former French royal residence and center of government is now a national landmark located in the city of Versailles. The estate was officially declared the royal residence in 1682 and has housed such occupants as Louis XIII, Louis XIV, Louis XV, Louis XVI, and Louis-Phillippe. The palace boasts famous rooms like that of the Grands Appartements (State Rooms) and the Galerie de Glaces (Hall of Mirrors). It was in the Hall of Mirrors that the Treaty of Versailles was signed in 1919. Mont Saint-Michel – A World Heritage Site located on an island just off the coast of Northern France. It is believed that Aubert, Bishop of d’Avranches, founded a sanctuary on Mont-Tombe at the request of the Archangel Michael. The Bishop built and consecrated a small church on the island on October 16th 709. More buildings continued to be erected through the 19th century at which time it was turned into a prison. Mont Saint-Michel is currently an international pilgrimage site that attracts people world-wide. Musee du Louvre – The Louvre can be found in Paris, France and is not only a historic monument but one of the largest museums in the world. It is home to over 35,000 pieces of artwork, sculptures, and artifacts including the Venus de Milo, Mona Lisa, Liberty Leading the People, and Cy Twombly’s Ceiling. The museum is housed in the Louvre Palace which began as a fortress that was built in the late 12th century under Philip II. The Louvre attracts an astonishing 8.5 million visitors per year! Eiffel Tower – The Eiffel Tower has become known as a French icon and the most prominent symbol of both Paris and France. This iron latticed tower was named after its engineer Gustave Eiffel and was erected in 1889 as the entrance arch to the World’s Fair. It is the most visited paid monument in the world and plays host to over 7 million people each year. Christmas – Many old French traditions can be related to one holiday season or another. For example, holding a puppet show on Christmas Eve is a common occurrence, after which the children anxiously await the arrival of Père Noël (Santa Clause). Instead of the traditional American stocking, French children set out their shoes by the fireplace in the hopes they will be filled with presents by morning. Children also believe in Santa’s counterpart, Père Fouettard, who can be found giving out spankings to those children who were less than angelic during the year. Easter – During the Easter season, children in France can also be found hunting the ever elusive Easter egg. Church bells fall silent starting the Thursday before Good Friday and will remain silent until Easter morning. It is believed that when the “Flying Bells” leave they take with them the grief and misery of the mourners of Christ’s crucifixion. They travel to Rome to visit the Pope and then make their return on the morning of Easter Sunday along with chocolate eggs which are hidden for children to find. As the bells toll for the first time it is tradition to hug and kiss those around you. 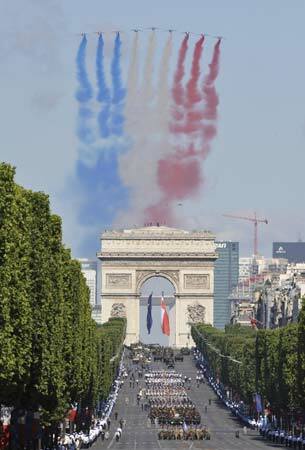 Bastille Day – Marking the anniversary of the fall of the Bastille on July 14, 1789, Bastille Day is one of France’s most colorful traditions. Originally built as a medieval fortress, the Bastille eventually became a state prison. It was during the unrest of 1789 (on July 14th) that a mob approached the Bastille to demand the arms and ammunition stored there. When the guards resisted, the mob attacked and captured the prison releasing the seven prisoners held at the time. The taking of the Bastille signaled the beginning of the French Revolution and a symbol of the end of the ancien régime. The site had become associated by the people to the harsh rule of the Bourbon monarchy and was scheduled for demolition during the late 18th century. Wedding’s – Made popular during the era of Napoleon, it is custom during wedding ceremonies to “behead” a bottle of Champagne using a saber. According to legend, Hussards (skilled cavalry men) under the general’s command started to celebrate victory by swinging their sabers and neatly slicing the tops from Champagne bottles. Vacation – While the French Culture is home to many traditions, none are so envied here in the United States (or at least by this blogger) than that of the 5 week holiday! Yes you heard that correctly. Almost all French employees are entitled to 5 full weeks of paid holiday per year. And while they are blessed to live amongst the French countryside most natives can be found taking holiday elsewhere or skiing in the French Alps! Whether preparing to welcome a French au pair into your home, or planning a trip to this culturally rich country, knowing proper etiquette can save you much embarrassment and ensure that your interaction is a pleasurable one. Listed below are but a few do’s and dont’s to know when interacting with the French. First names are generally reserved for close family or friends of your French guest/host. Plan on using last names and appropriate titles unless you are asked to specifically use their first name. As with most people, the French value their privacy. Refrain from asking personal questions unless you have established a clear friendship with your host/guest. While interviewing your French au pair it is quite appropriate to ask such questions that coincide with the intent of the program, however, be careful not to overstep your boundaries. Telling your traditional jokes to break the ice may not be appreciated by your French host/guest. Instead, try engaging in intellectual conversation or offering up a bit of satirical wit. You will find that sharing funny stories that stem from real life situations are widely accepted. Upon greeting family and close friends, the French often offer one another a kiss on both cheeks. If you are not among this set of people it is appropriate to shake hands with a quick light grip. When meeting your French host/guest it is highly encouraged to gift high quality candies, cookies, cakes or flowers that are beautifully wrapped. Try to avoid gifts of 6 or 12 (for lovers) and gifts of odd numbers; especially that of the number 13. In addition, refrain from gifting chrysanthemums, red roses, or wine unless it is of the highest quality. For more tips on French etiquette and discouraged gestures head over to EDiplomat! Modern French cuisine is among the most delectable and pleasurable dining experiences any food connoisseur will partake in. Likened to a well orchestrated musical composition, French cuisine focuses its attention on the freshness of ingredients and enhancement of the individual flavors that make up its composition as a whole. Both pleasing to the palate and pleasant to the eye, it is indeed poetry on a plate. Modern French cuisine has undergone several changes during its lifespan to evolve into what it has become today. This evolution began in the 17th and 18th centuries when Marie-Antoine Careme started the process of refining each dish to enhance its flavors. In the 19th and early 20th centuries, world-renowned chef Georges Auguste Escoffier worked upon Careme’s accomplishments to further refine the recipes and help establish a more organized way for French restaurants to operate. Designating individual chefs to specialize on certain elements of a menu, Escoffier paved the way for modern-day French Cuisine to become a well oiled machine. Below you will find the links to some traditional French cuisine recipes. Whether a novice in the kitchen or an accomplished chef, these dishes will be sure to please your discerning palate! Are you in need of affordable live-in childcare? Au Pair International is fortunate to work with some amazing French partners that help our host families to introduce the French culture to their children! Together we are currently featuring the following French au pairs who are seeking host families in the U.S.. Upon clicking on their photos you will be taken to their personal profile on our website. If you have any questions or would like more information on becoming a host family please do not hesitate to contact us!